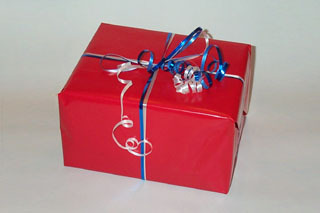 Gift wrapping is available on many Massachusetts Bay Trading Co items. Simply select the Add Gift Wrapping option (as you add the product to your cart) and we will wrap your gift in an attractive red or blue all-occasion wrap as shown below. If you specify a complimentary gift message, in most cases it will be printed on the gift card shown below and included with the shipment. 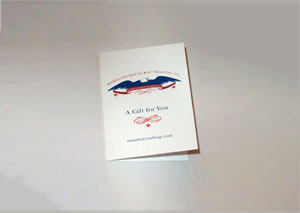 In cases where gift wrapping is not available, the gift message will be printed on plain paper. We never include pricing information on our packing slips.